It is easy for us to gloss over what Paul says because of its familiarity. We too easily read faith, hope and love as nouns when really we should acknowledge that they are verbs full of action and intent. We tend to view them through “spiritual eyes” and take them for nothing more than religious or moral virtues rather that a revolutionary way in which to live. Yet Paul contends these three — faith, love and hope — are the foundation to all living whether we are Christians or not. They underpin and permeate everything we think or do. We live in a world full of techniques and programs with a scientific world view that assumes once we know enough we will able to do enough to solve all our problems and finally we’ll be able to truly live. Paul criticizes this view, countering that knowledge by itself will never produce the desired result. 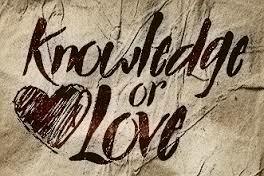 What is more, the only knowledge of any value is what emerges out of relationships founded on love, faith, and hope. Paul reflects what we read in the Gospel of John about Jesus’ and his relationship to Father. He understood that everything he said or did flowed from knowing his Father and his Father’s knowing of him (John 5:19, John 17:20-26). It was their mutual indwelling in relationship (John chapters 16 and 17) that was the basis of all that Jesus did, said and understood. He didn’t possess extra special knowledge, he did not even live with the law in mind, he lived in a relationship based on Father knowing him and him knowing Father. This is a profound mystery. Jesus lived it and Paul tries to describe it, though he admits he only sees it as a pale reflection in a mirror (1 Corinthians 13:12). Not surprisingly he longs for the time when he will see Jesus face to face and then he will fully know. That is why he says that the “most excellent” way to live is not based on knowledge, or morals, or laws but upon relationships. The greatest thing we are to do is to love God and love our neighbours as ourselves. In other words, be full of faith, hope and love. My God grant us the grace to be a community saturated with them.